ASPEN Group and the state Housing Department will conduct an on-site registration for the Tri Pinnacle affordable condominiums this Saturday and Sunday (7th & 8th March 2015) at the group’s office in Birch Road, Penang. Eligible parties may sign up for the project, which is the state’s first private initiative for affordable housing and located on prime freehold land in Tanjung Tokong, between 10am and 5pm on both days. 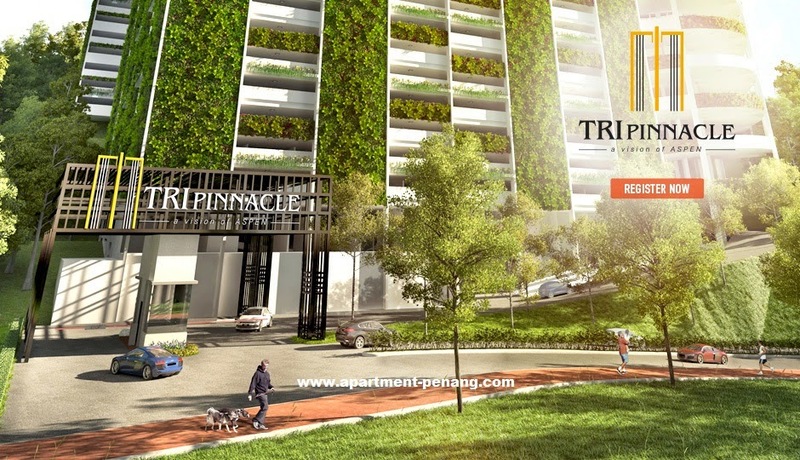 The Tri Pinnacle consists of 390 units of 650sq ft low medium-cost apartments priced at RM72,500 each, and 859 units of 800sq ft medium-cost apartments tagged at RM299,990 each. The project is open to buyers registered and approved by the state Housing Department which will also have staff present to assist and attend to aspiring home seekers’ enquiries. Eligibility is bound by the conditions, requirements and regulations stipulated by the Penang government, which can be viewed at http://erumah.penang.gov.my/. Applicants should bring along all relevant documents such as photocopies of applicant and spouse’s identity cards, certificate of marriage/sijil nikah/statutory declaration of marriage, certificate of divorce or death, and children/dependent’s identity card or birth certificate. One should also have copies of confirmation letter from employer, payslip for both applicant and spouse, Employee’s Provident Fund (EPF) statement or letter of confirmation from EPF if the applicant or spouse is not an EPF contributor. Also needed are statutory declaration of income for applicant and spouse for those running their own business or working on their own, a photocopy of OKU card (if relevant) and aletter of confirmation by employer confirming residence of at least five years in Penang. Those running their own businesses should also bring along a photocopy of their business registration certificate or trade licence, and Income Tax Form B. Works for Tri Pinnacle will commence by the first quarter of this year, and will take 36 months to complete. Those interested and eligible for the project are encouraged to submit their applications within the two-day campaign.